We did a lot of hooping in 2012. There were scads of Tokyo events, and a trip around the world, too. We were nominated for a Hoopie on Hooping.org. We spent a lot of time in the Hoop Factory, preparing hoops over several sessions at Tink’s house. 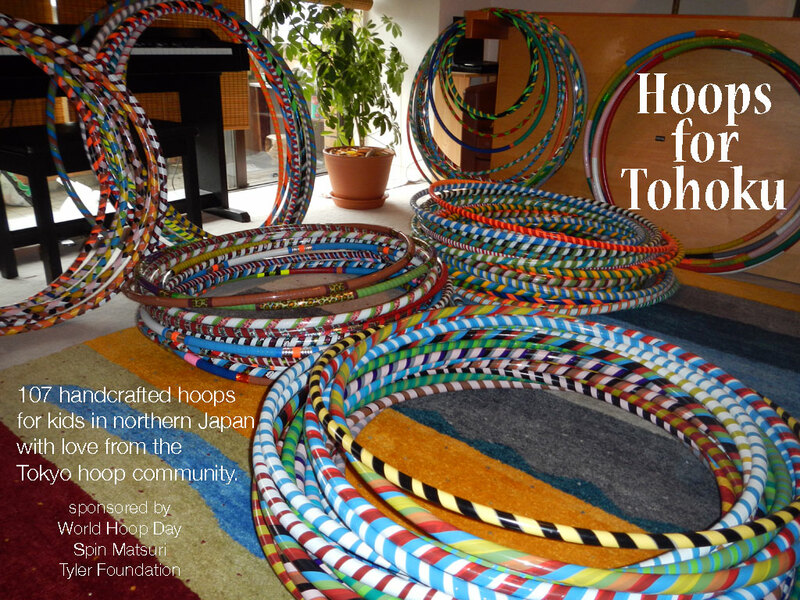 Tink delivered 107 hoops made in the Hoop Factory to kids in Tohoku on a week-long tour with NikoNiko Taishi. Released the 2012 Hooper Trading Card designs. Released the Evening Hoop Meditation on SoundCloud and a list of Hoop Games suitable for parties and classes. Everybody loves free stuff and we love to create it. And the Hooked on Robotics video we helped create in 2011 was released. Check us out dancing in the background! We got busy making music for the WHD Dance this year. Our own original tune took months of effort and coordination. Over 125 people downloaded the finished track, Turning Around, via SoundCloud. Visiting hooper, Colleen Nguyen, taught a workshop on Exploring Space. We all learned things that I keep seeing in our hoop performances and jams. Thanks, Colleen! A series of “Warm Weeknight Workshops” filled the summer schedule. Above are some of the moves and choreography created in “Hoop Inventions” late one evening. 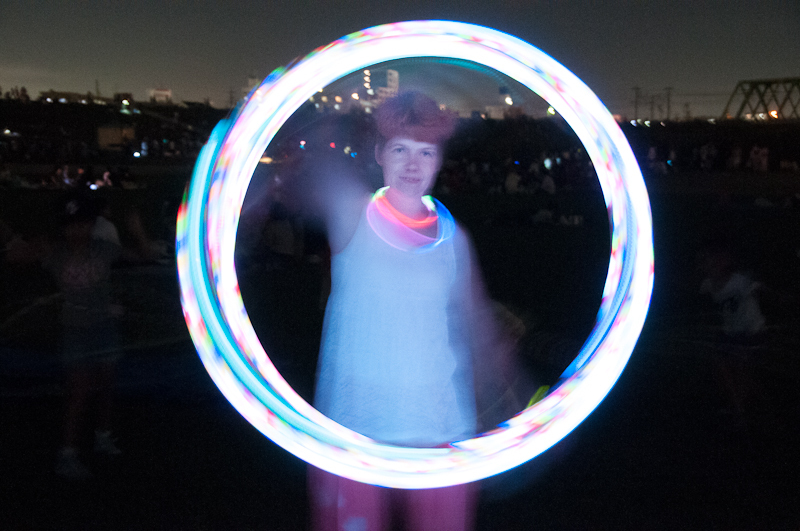 This year’s Edogawa Hanabi Hoop Picnic had real fireworks and lots of hoops to play with. We premiered the WHD Dance at Little Thailand with the Hoop Tokyo crew. After several months of refining the choreography and beta-testing the dance, the WHD Dance tutorials went online thanks to the efforts of Ayumi, Kana, and Bekah who danced for the camera. Then it was off on the WHD Dance Workshop Tour. 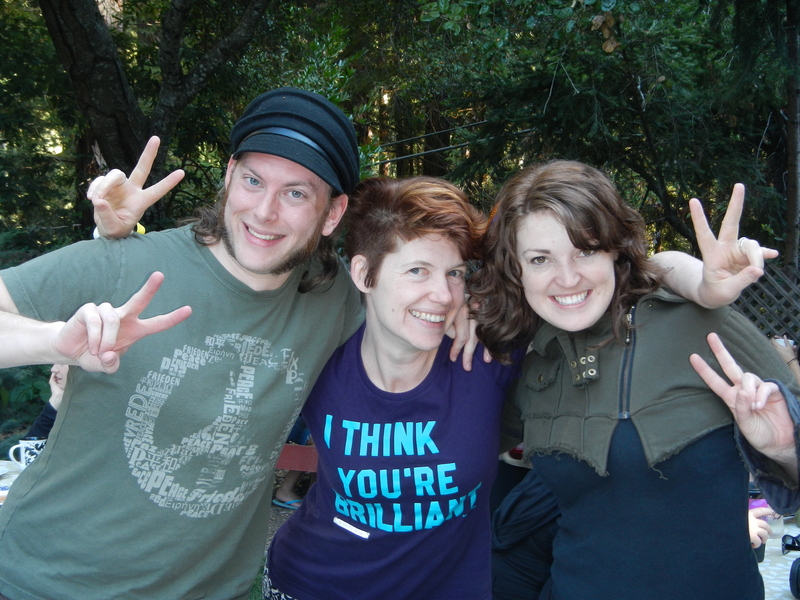 First stop, Hoopcamp in California, where I taught the dance and learned so much from all the other workshops there. 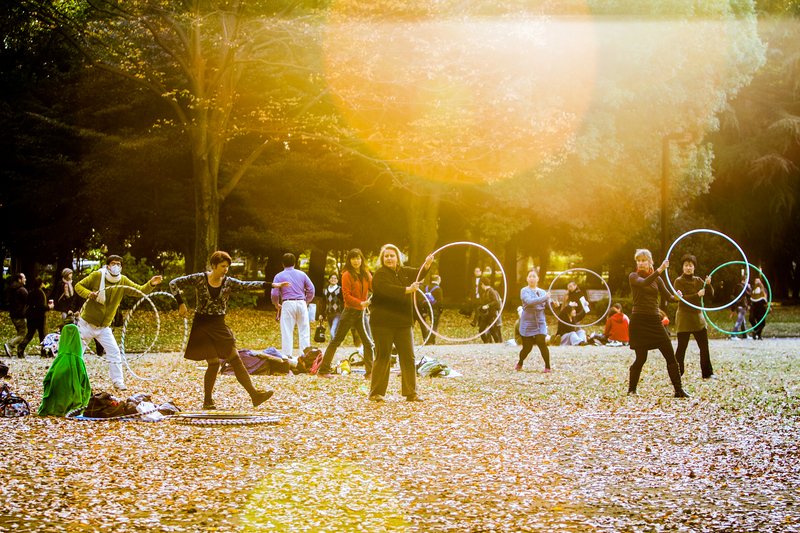 I also met Taylor and Michelle in person; they won the Japan round of The Great Hoop Race in 2011. Taught the WHD Dance to hoopers in 10 cities in the US and Europe. The videos above are from some of the most welcoming stops on the tour, Bath, Maine and Brighton, England. Headed down under to share the WHD Dance at Hoopy Happenings in Sydney, Australia, where I got a chance to teach some of my favorite hoopers and to learn from them, too. The video above is from one of my favorite workshops on the tour – Bundaberg. They are a brand new hoop community and they rocked the dance. And then it was back home to Tokyo and 4th Sunday Spin with more WHD Dance practice! 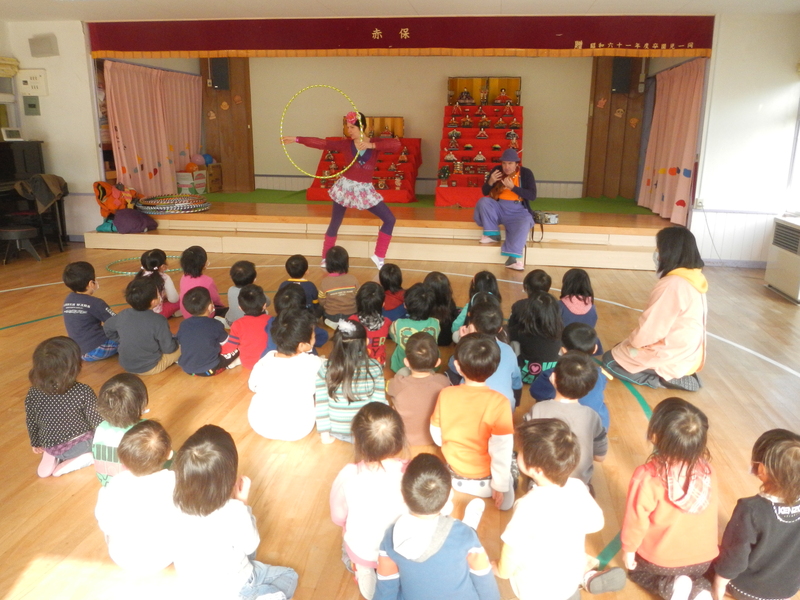 This month was full of World Hoop Day events including Hoop Lounge performance on 12/6 (above), a performance and workshop at an elementary school in Utsynomiya (above), 246 Common “Full Circle” event on 12/28, and the official dance filming (below). We raised a total of 17,422 yen that will go to buy hoop supplies for charity. At our last 4th Sunday Spin of the year, we froze but we looked festive! Also for the holidays, we released a new DIY Hoop Journal. Print it out for the new year and track your hoop journey in 2013. 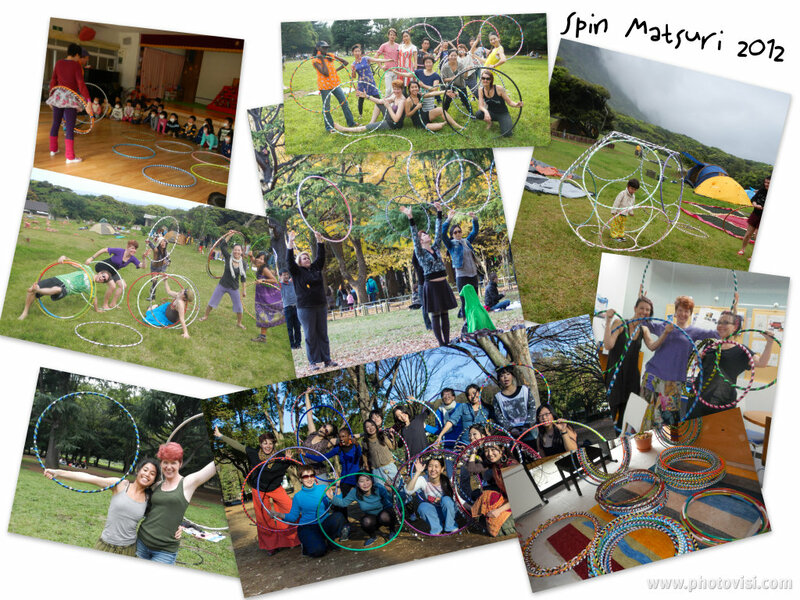 Thank you to each and every hooper who participated in Spin Matsuri activities and events this year. 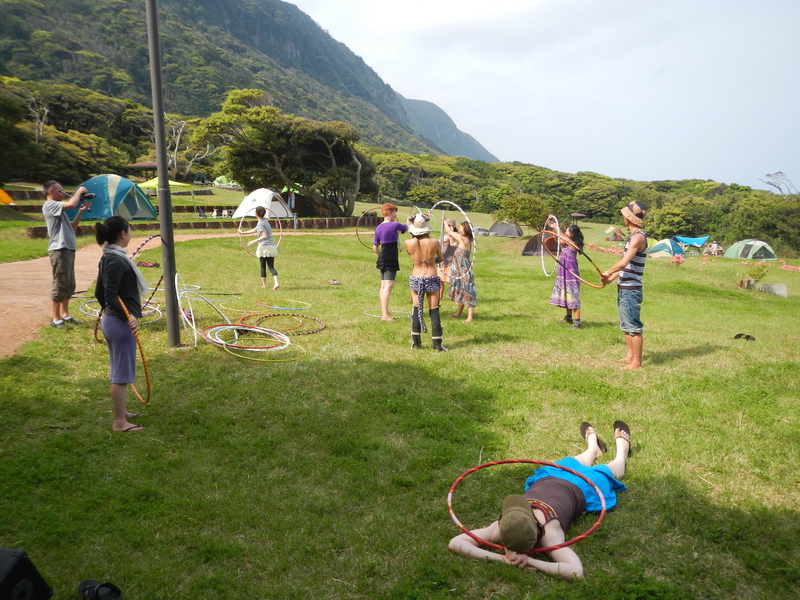 Hoop hugs to all the wonderful WHD Dancers around the world. Wishing you all the best for a hoopy new year.